One of the first things I made was a three-bow headband. 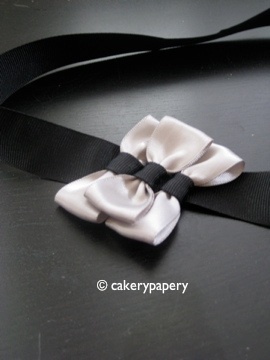 Grosgrain ribbon, satin ribbon, and elastic. Together? 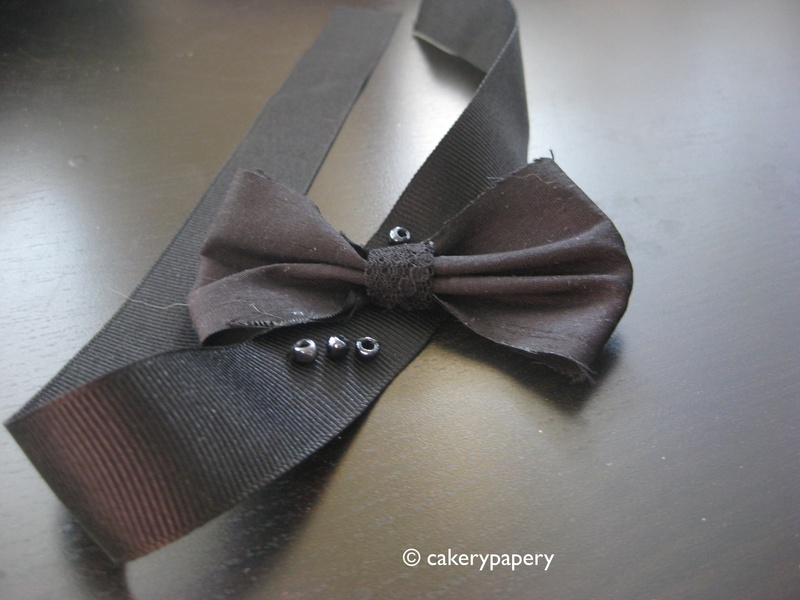 Satin ribbon is really hard to work with, so here’s to hoping you have nimble fingers. I use about 3 inches of elastic on the back part, so the headband has enough stretch to go over your head & stay in place. 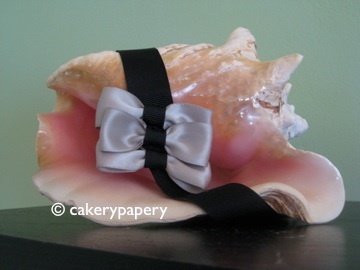 If you plan on wearing this with a ponytail, I’d suggest black ribbon and black elastic. Here’s a close up. I stacked the bows a little bit, so they have more of a clustered effect rather than three in a row. You can also make them with flowers. It helps to have a mom with a pretty intense sewing closet. The flower on this one is made out of some kind of linen silk, which I snagged in a half-dozen colors. 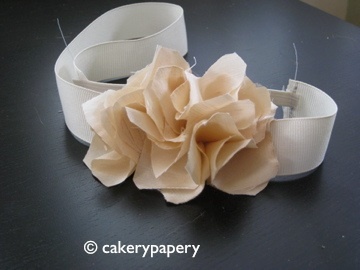 You need the fabric to have enough stiffness that the flower holds up. Here is what it looks like in action, and you can find an easy-to-follow tutorial here. 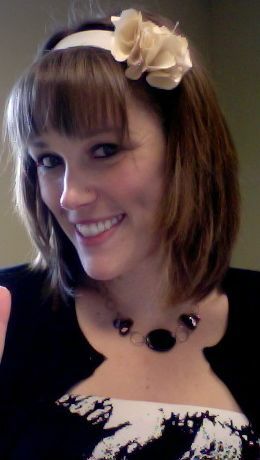 Or you can do other bows, like this. These are super easy to make – and no two are alike, so it really just fuels my obsession with one-of-a-kind stuff. So I’m back…after an intense three weeks, I finally have some time to get back to CP. But that’s a story for another day. One of my (many) obsessions lately is cupcake flags. 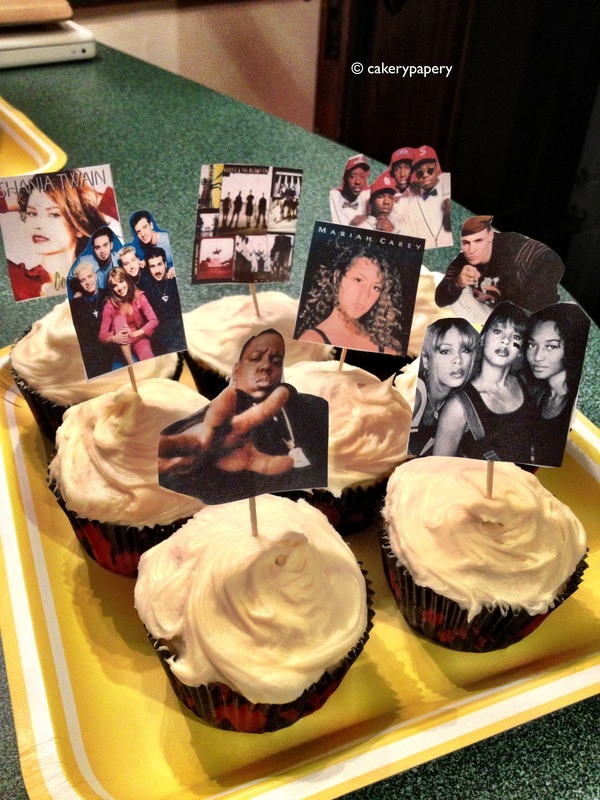 They really just give cupcakes a little something extra…as in extra fabulous. 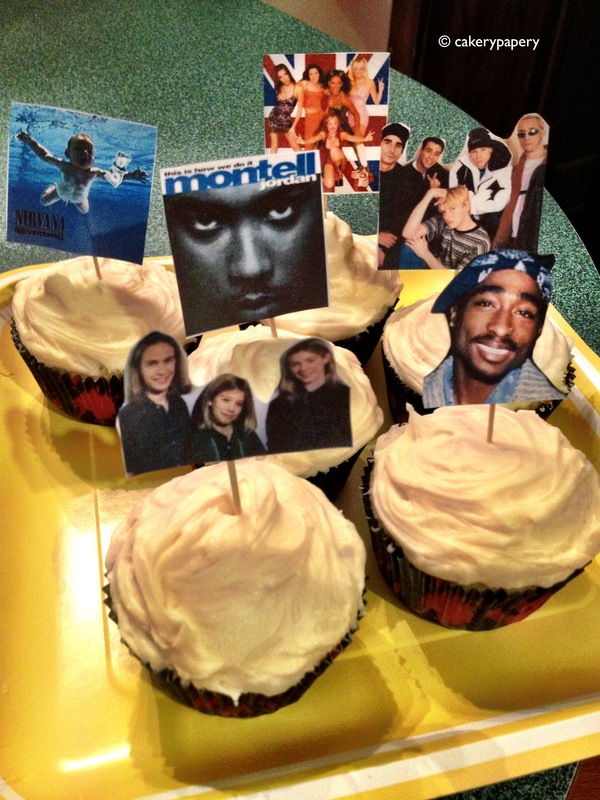 And cupcake flags are an easy DIY. You need toothpicks, glue or tape, and whatever you want to use as the flag part. These metallic stars were picked up at Michael’s. You glue the toothpick to one star, add more glue, and top with a second star. Normally, I make my flags one-sided, but I was crafting with my BFF, who can be a bit of a craft dictator perfectionist. Which is okay, because then I do the extra steps that I normally skip out of laziness to be efficient. After we were finished the cupcake flags, it was time for place cards. And we needed place cards to avoid sitting next to anyone weird at family birthday celebration dinner. Which is also another story for another day. Not having folded tent cards handy, we used flat cards instead. Just glue on a star, and you’re done. We ended up writing the names on with a silver Sharpie, but had we pre-recognized the need for weird family member avoidance, they would have gotten printed pre-stars. 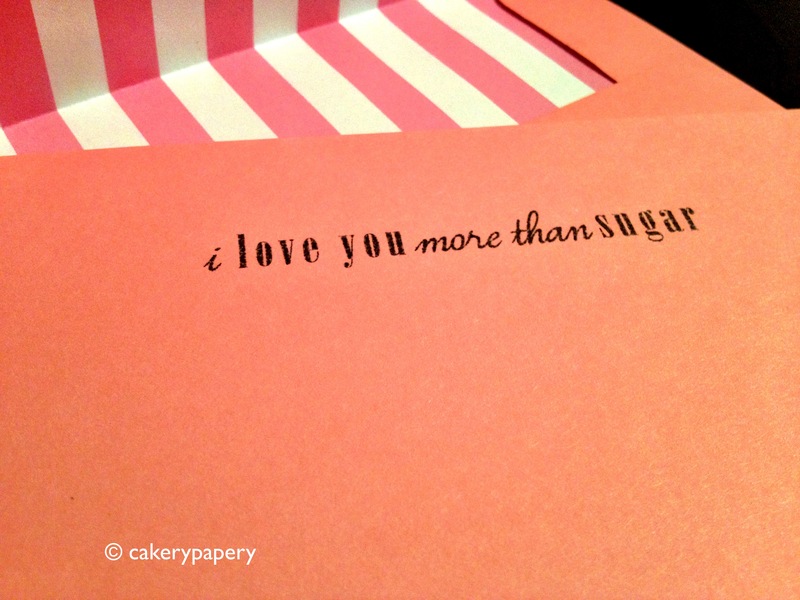 I love you more than sugar. Which, is saying a lot for me. Because I really, really, really love sugar. 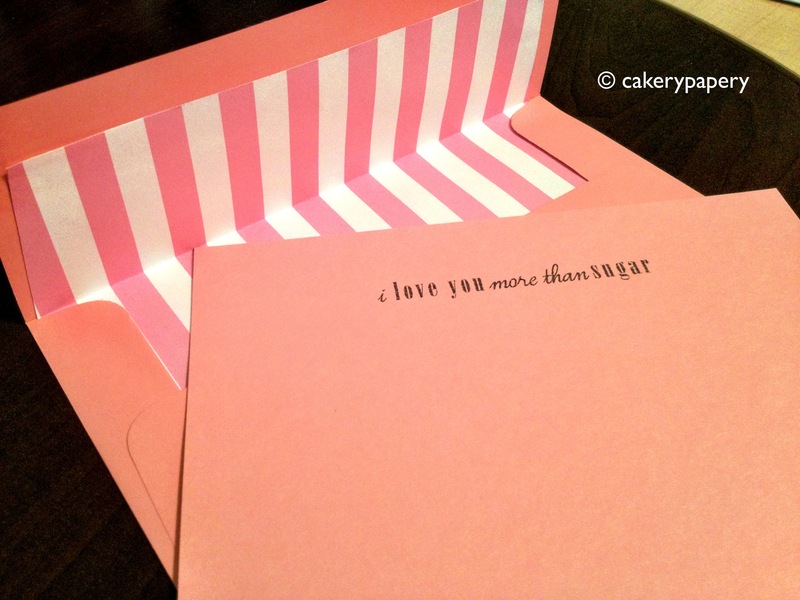 I also really enjoy envelope liners, like the pink stripe one on I put inside the love sugar DIY card. It really gives stationary something extra. Most people won’t notice envelope liners, but for the ones that do, I like to think they are a nice little surprise when you open the envelope. And then you’re done! 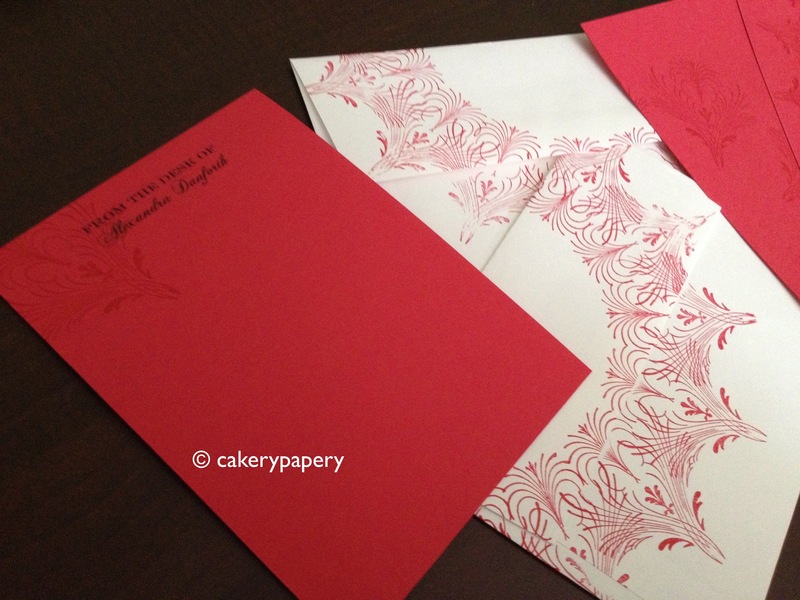 An easy DIY addition to a homemade card, or to store-bought cards as well. 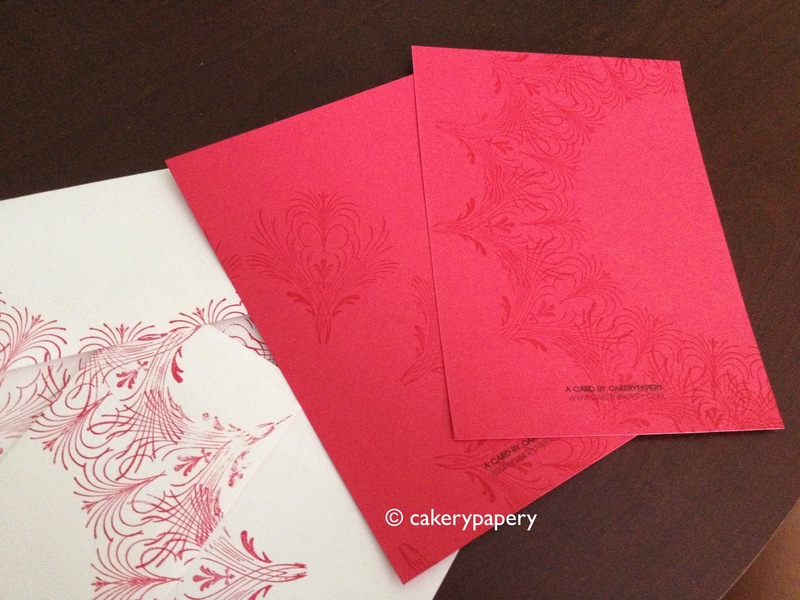 OCCUPY CAKERYPAPERY’S CRAFT ROOM is closely approaching its second month. Which leaves me two choices. I can either evict the squatters (multiple pieces of trim, old medicine cabinet, shop vac, extra tiles, joint compound, paint cans), or I can find a way to work around them. Given my level of laziness (high) on a Thursday evening, I went with the second option. Don’t judge. Besides, the Cricut doesn’t need much room, right? I started out with these cutouts. Have an idea where this is going? And I ended up with this. 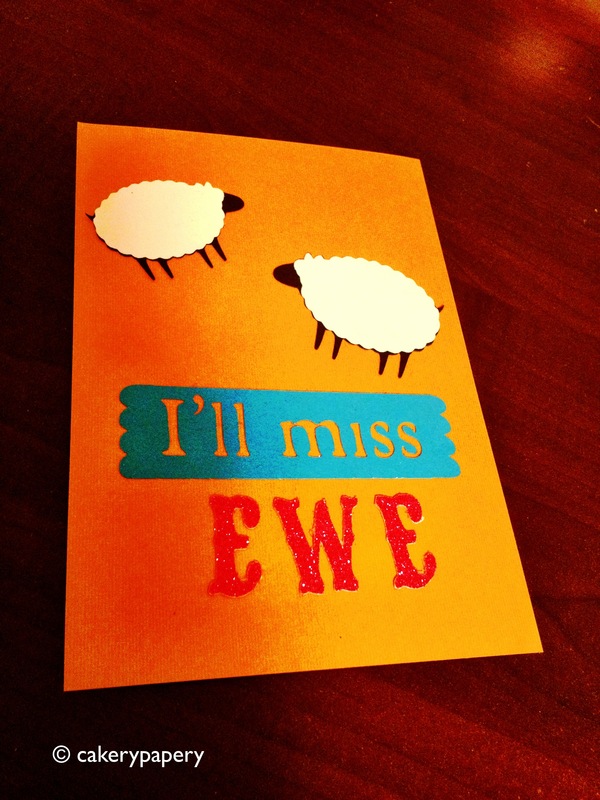 The ‘Miss Ewes’ card was for one of my coworkers, who is leaving to attend medical school. 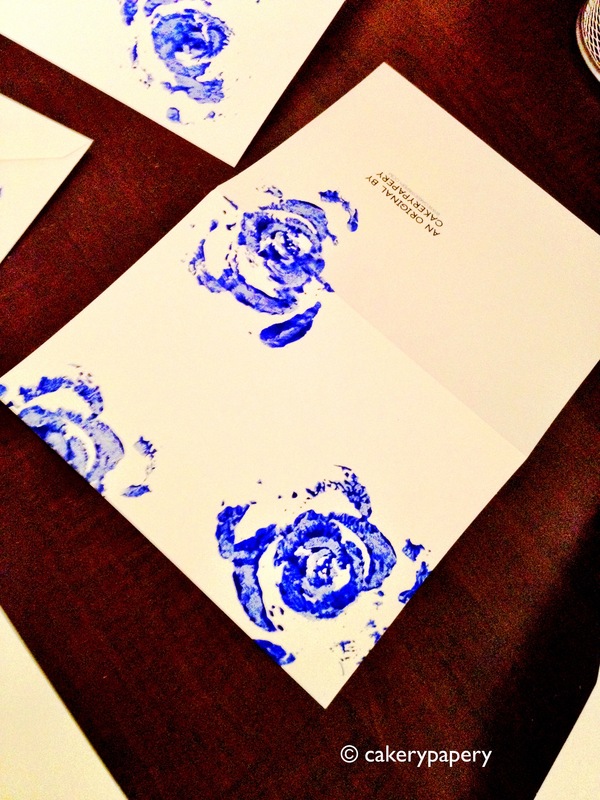 And since she always talks about how much she wants original stationary, I made her some celery rose cards. In blue, since she’s becoming a doctor. 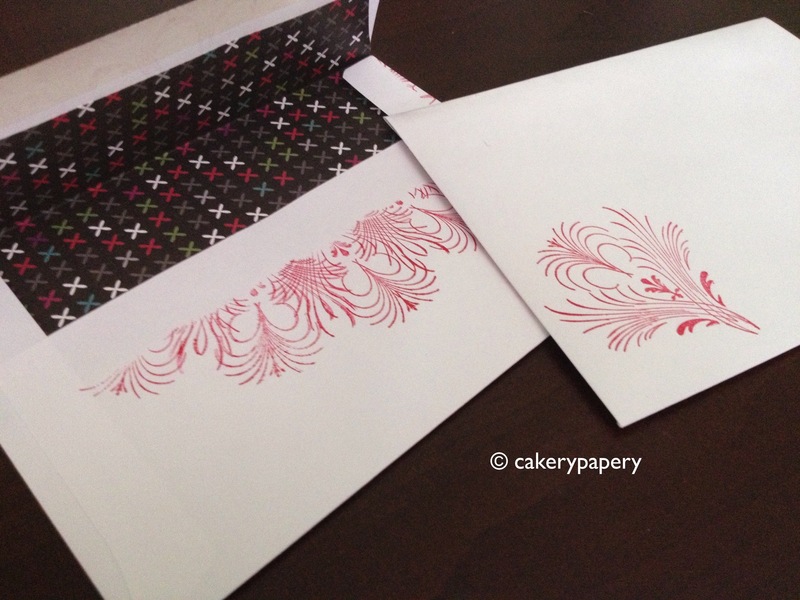 I make the celery cards a lot—they are ending up as one of my signature projects. I really enjoy the speed at which I can make these, and each set is different than the one before. 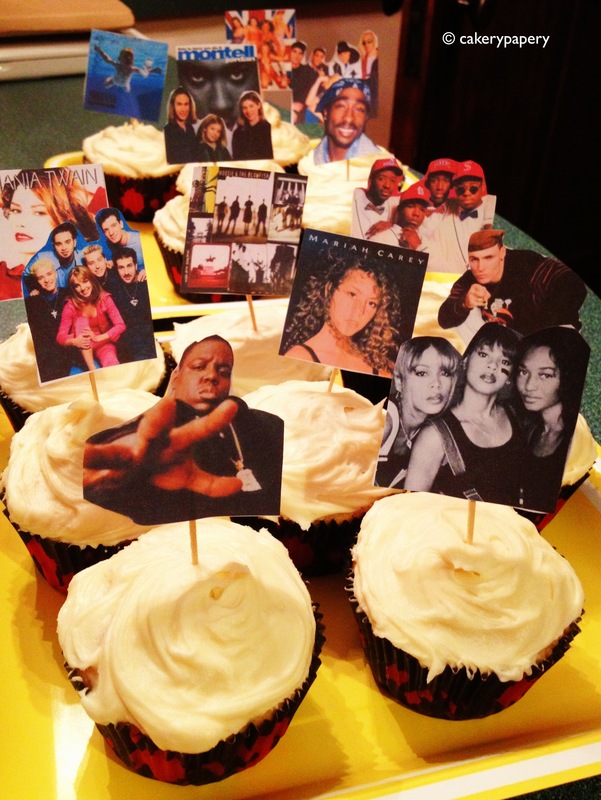 You can read the instructions on how to make these here. 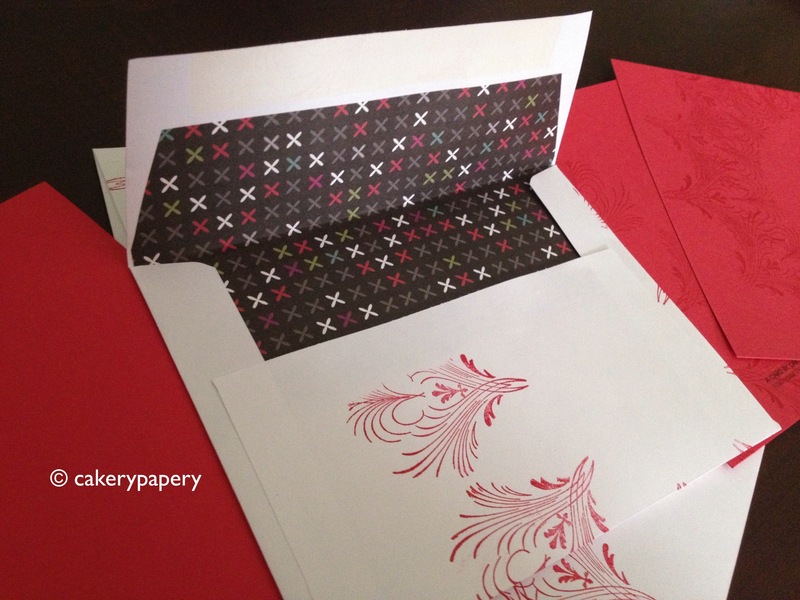 To make the ‘Miss Ewes’ card, I started with a pre-cut piece of cardstock from a 4 x 6 stack for the background. Sure, you can cut your own, but using pre-cut is much more efficient. 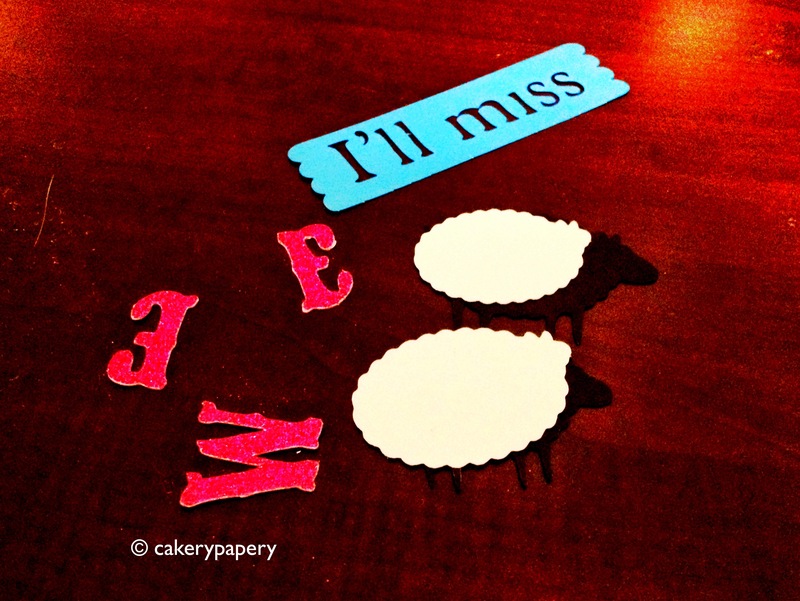 The sheep cutouts & ewe font are in the Just Because Cricut cartridge. The ‘ewe’ was cut at 4 inches and the sheep at 3.5 and 4 inches. The tag cut is from Plantain Schoolbook, sized at 1.5 inches. Cut, glue, assemble.